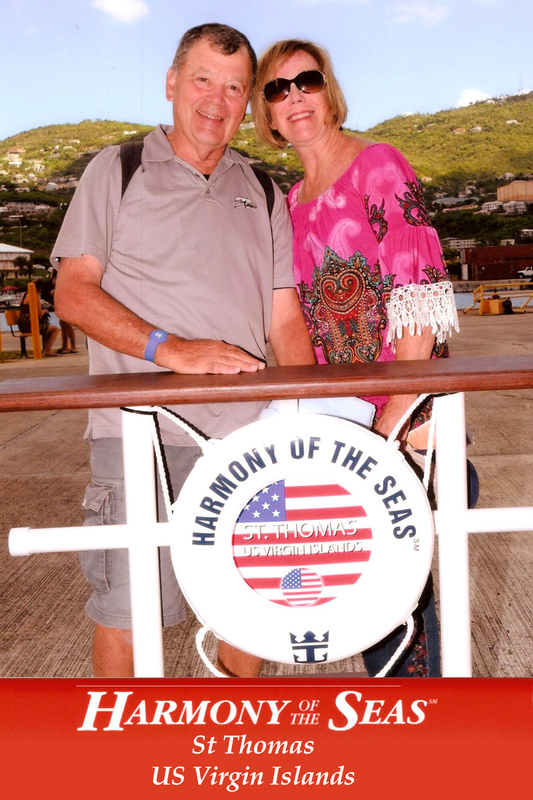 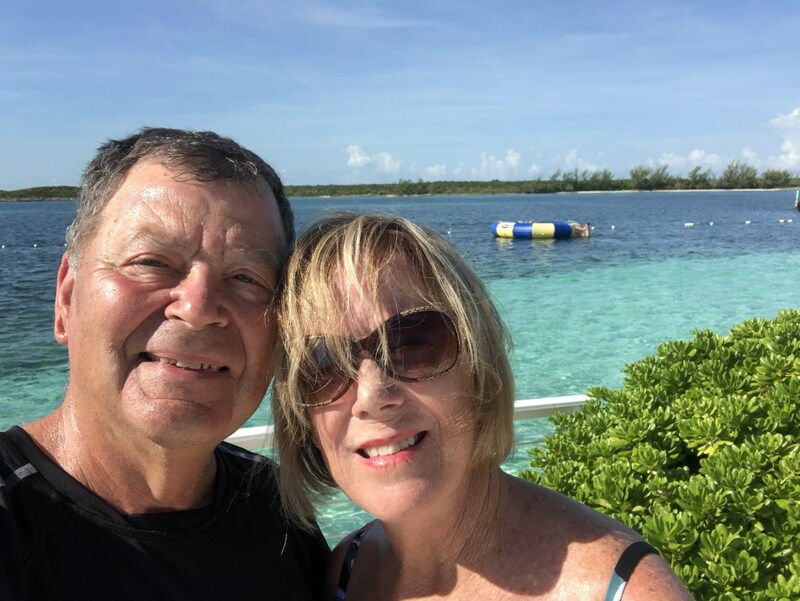 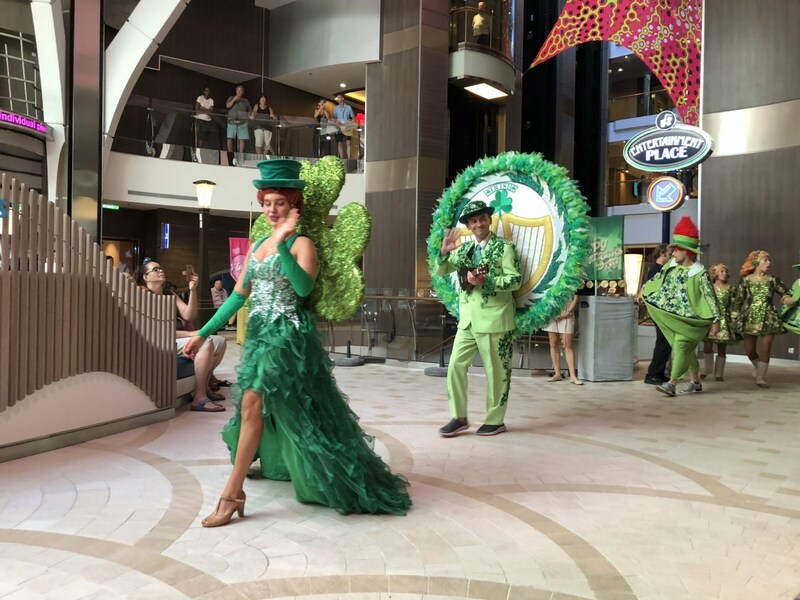 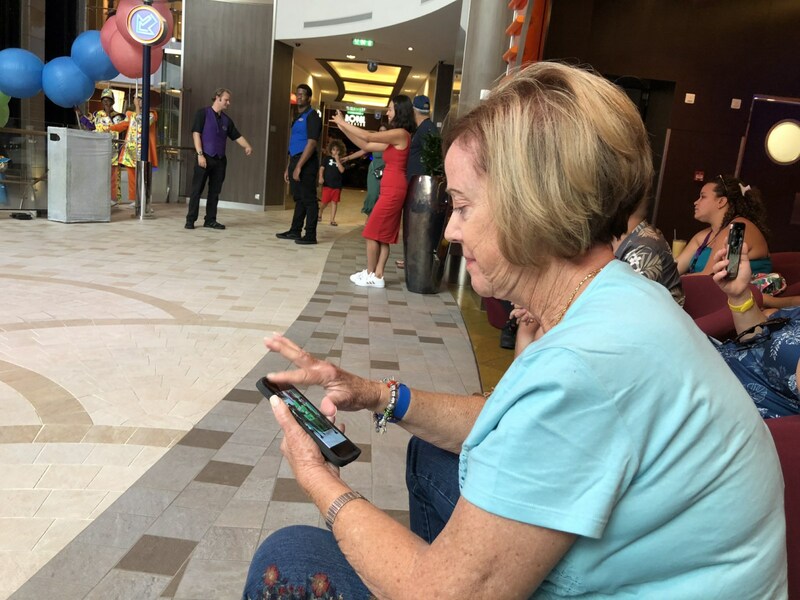 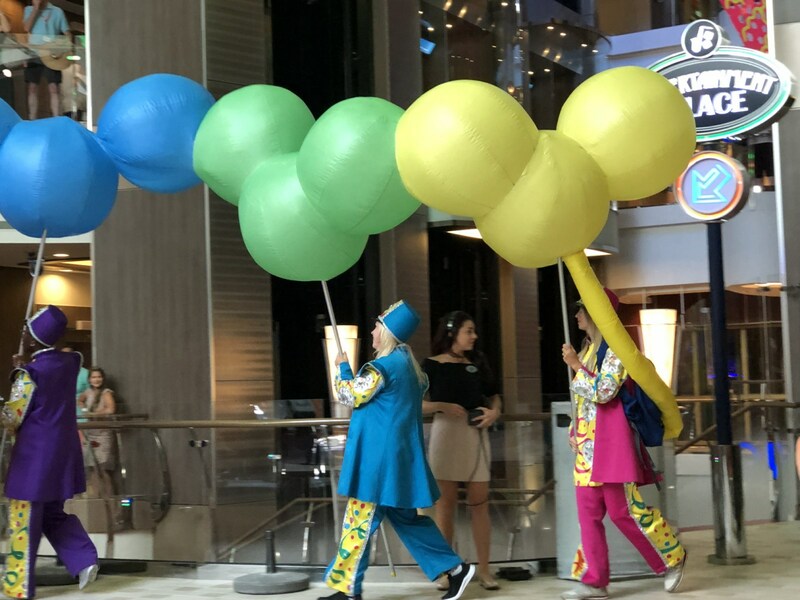 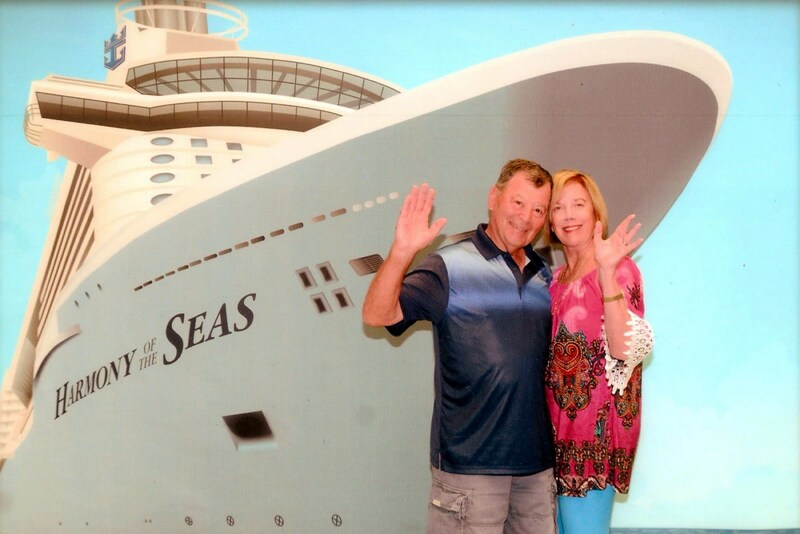 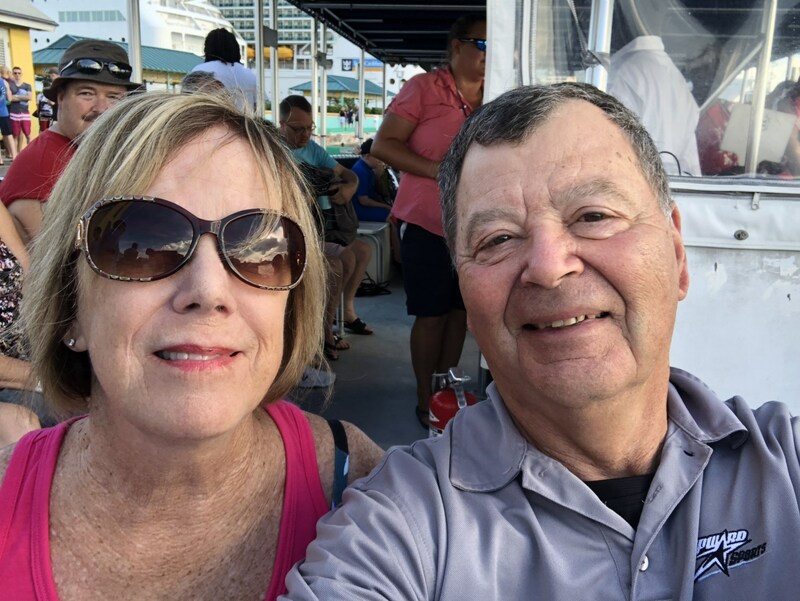 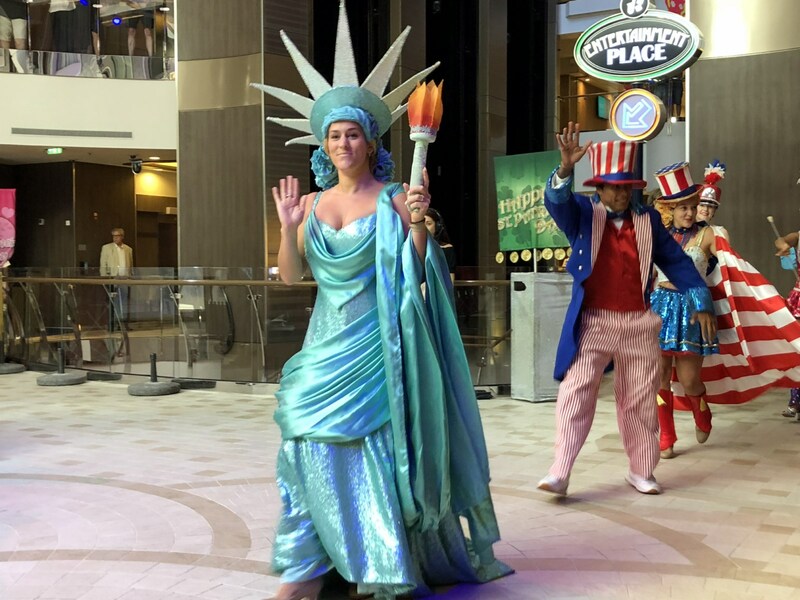 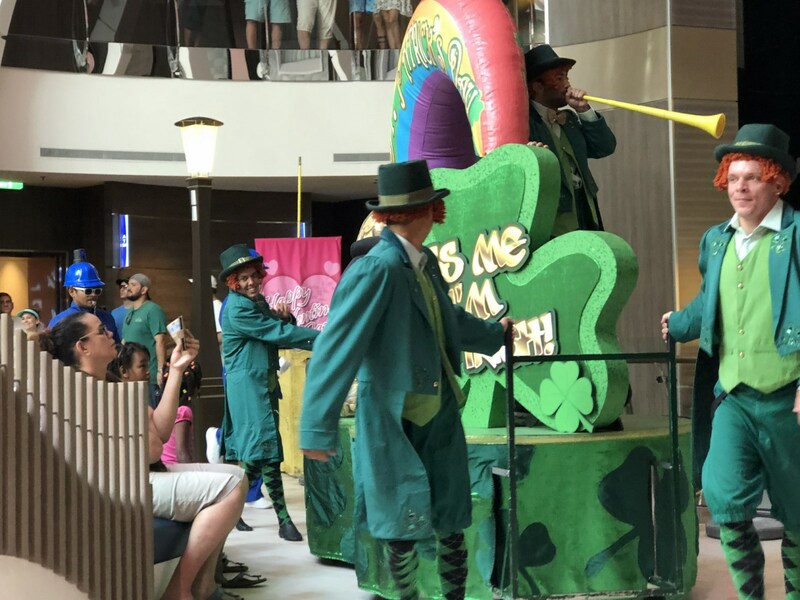 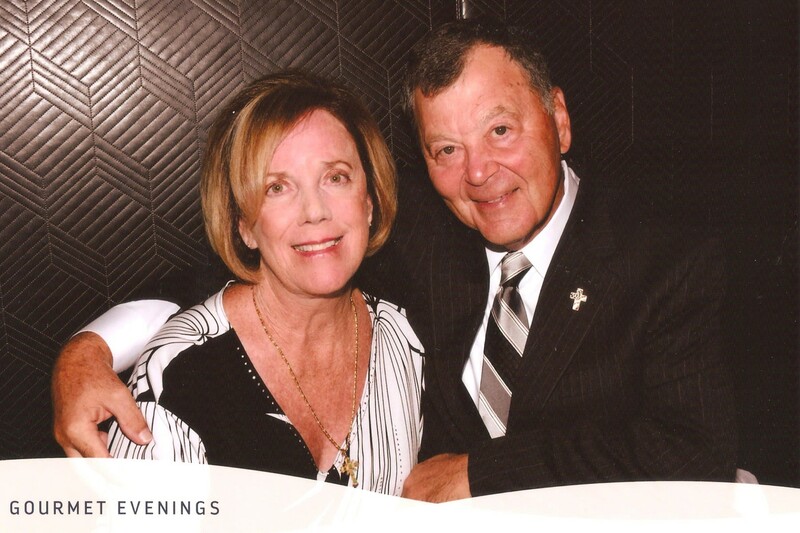 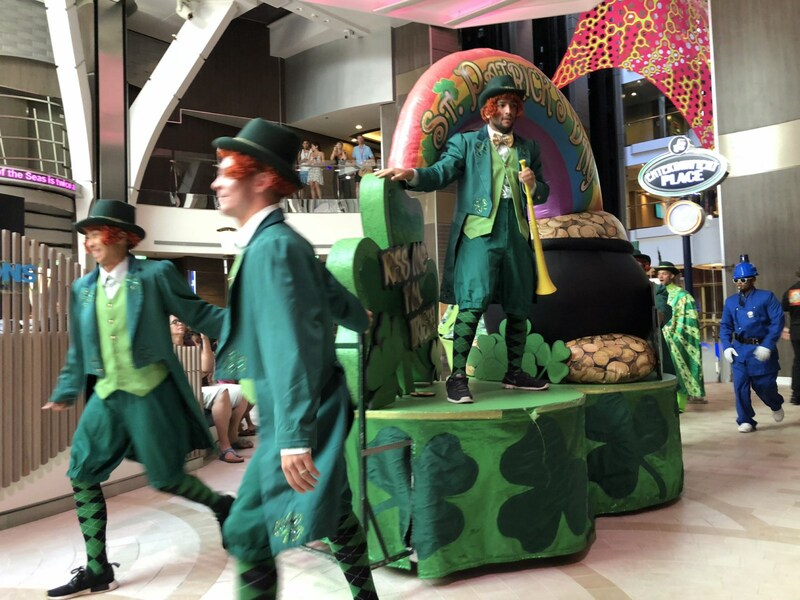 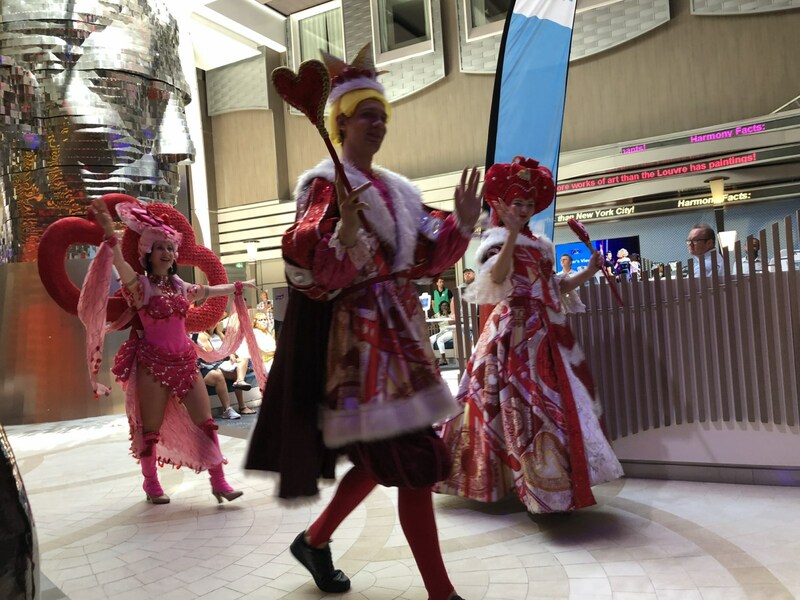 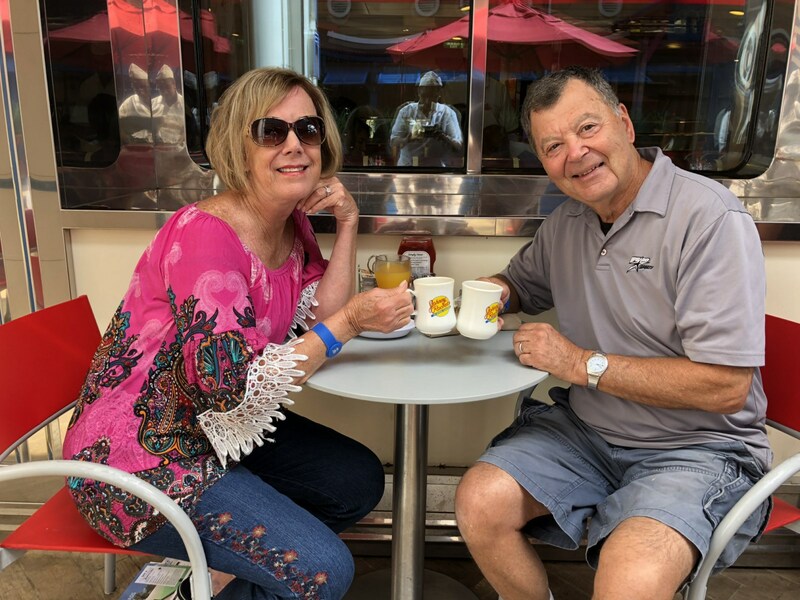 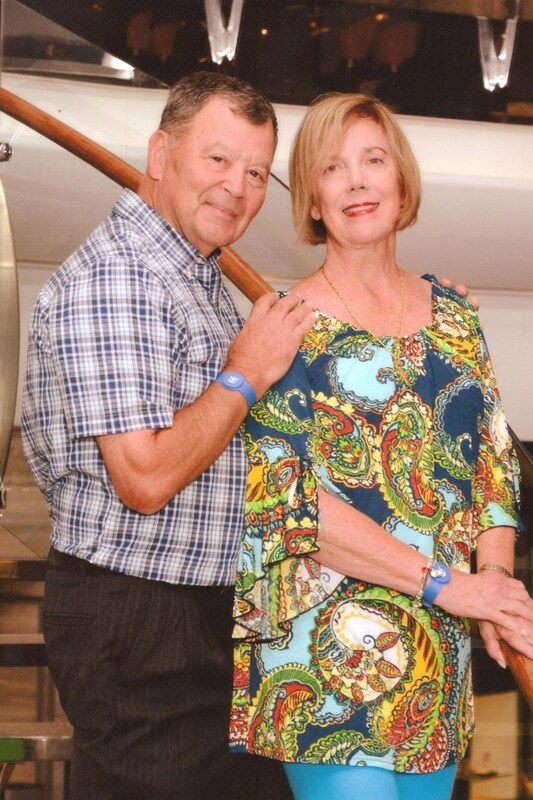 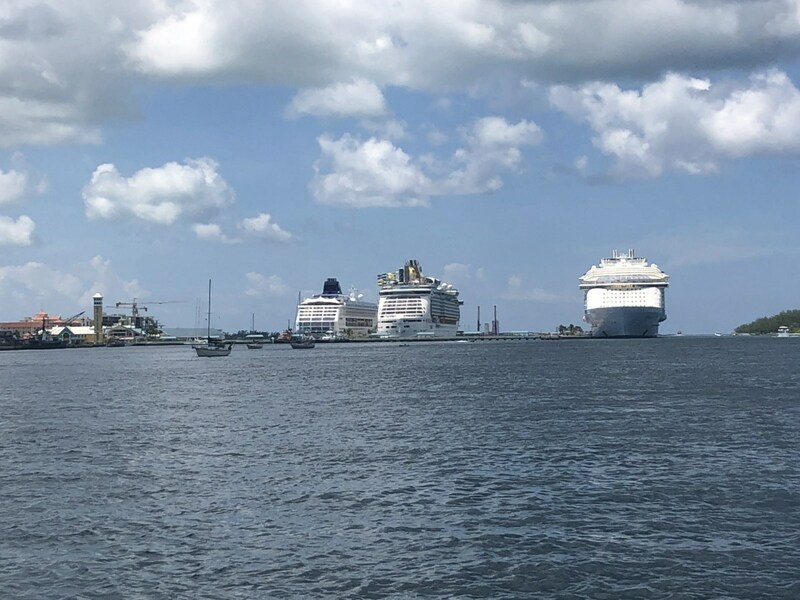 In September 2018 Jay and Joyce took a 7-day cruise aboard Royal Caribbean’s Harmony of the Seas. 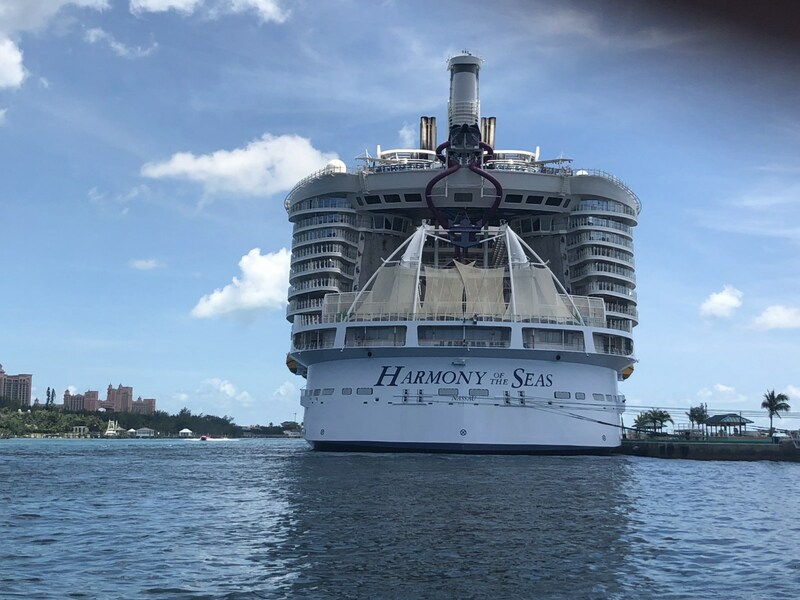 The Harmony is one of the newer Oasis-class shops that carries something like 6,000 passengers and 2,300 crew members. 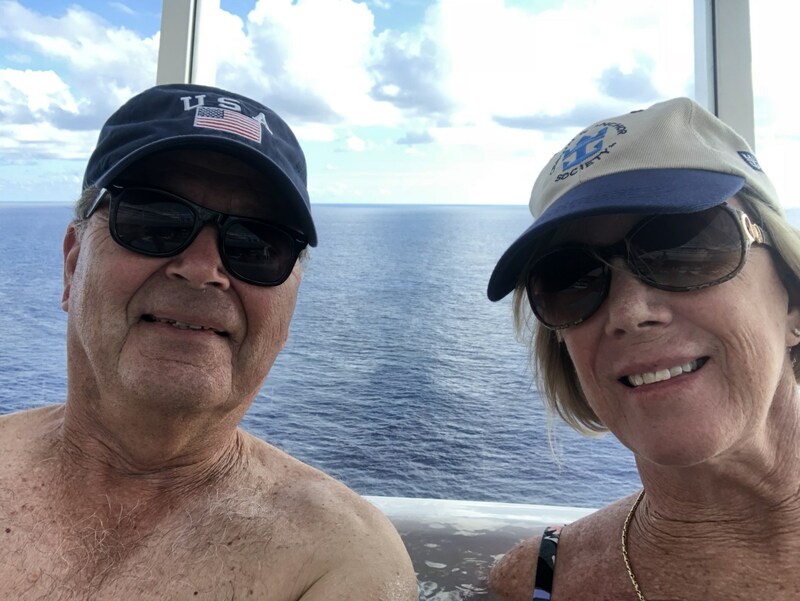 Jay and Joyce booked a stateroom with a balcony overlooking the Boardwalk area of the ship, and this turned out to be a good choice. 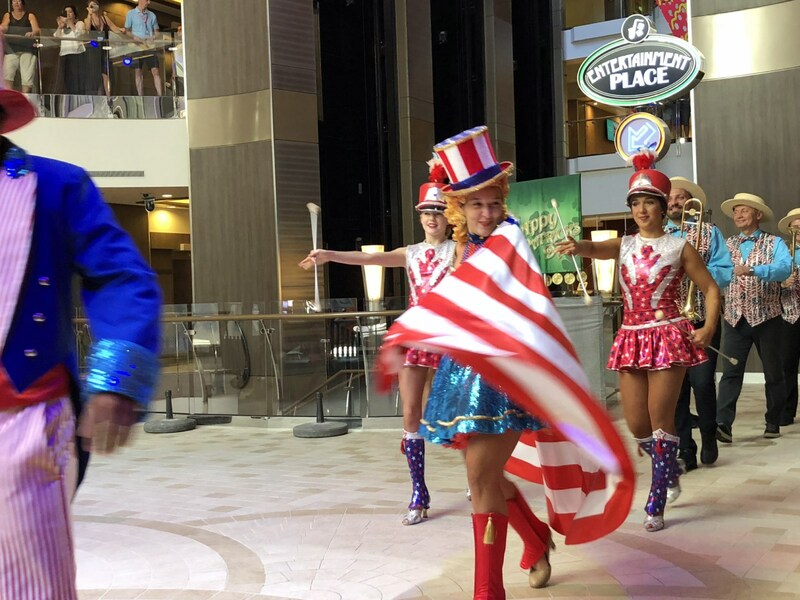 The Harmony has lots of onboard entertainment, and the key is to book it all in advance so you get to sample all that the ship offers, which included shows at the Aqua Theater, the ship’s indoor ice skating rink, and productions (Grease, Headliner, 1887, Stand-Up Comedy, Columbus) at its theater. 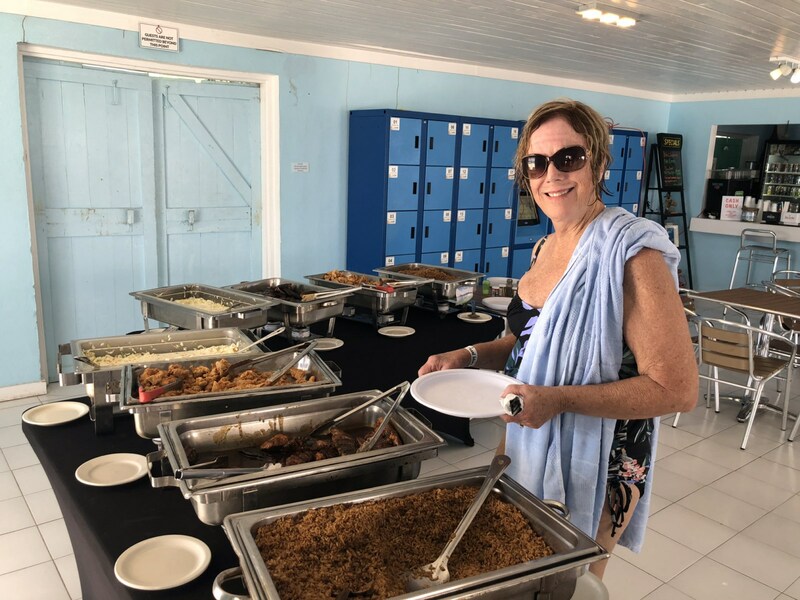 After a day at sea our first stop was Nassau where Jay and Joyce booked a day at Pearl Island for some fun swimming, snorkeling with the equipment we brought with us, and enjoying the lunch that was provided. 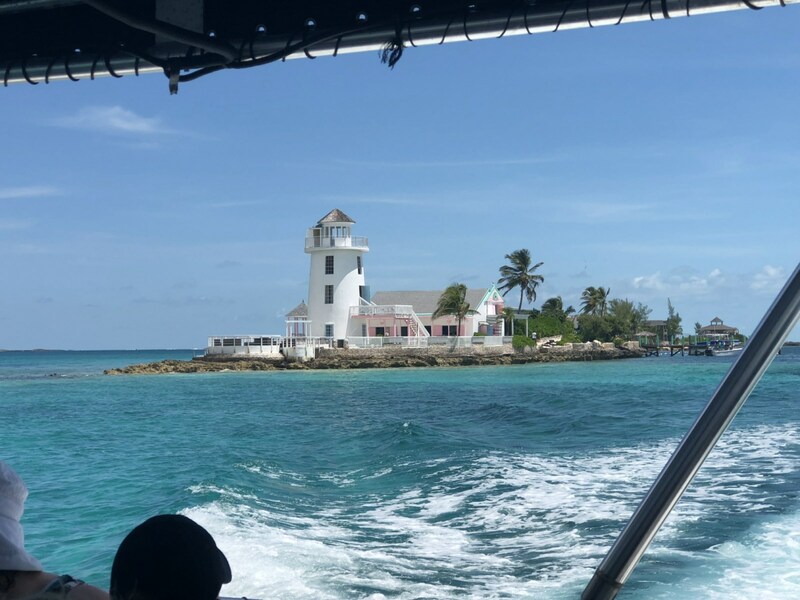 Additionally the trip out to and back from the island was nice, with the boat crew providing a narrative (for tips, of course) of the Nassau area and of Paradise Island. 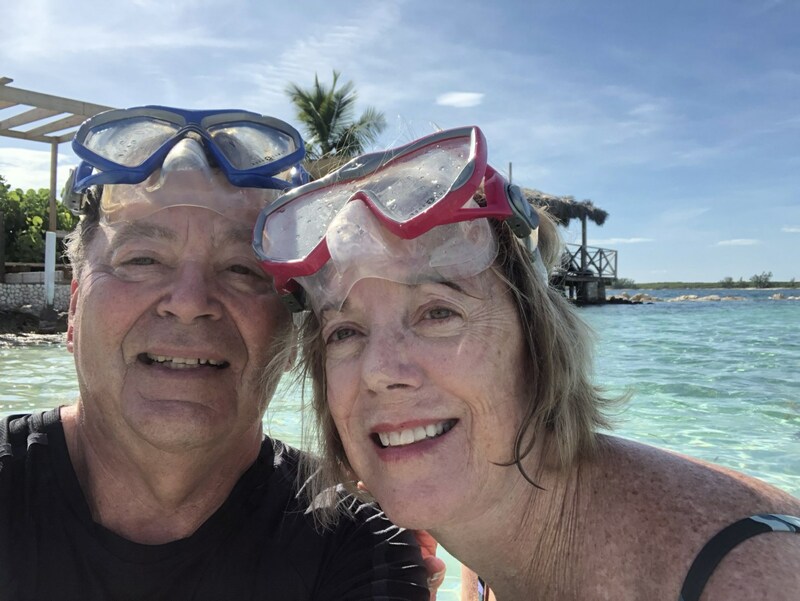 Our next stop was St Thomas where we took a taxi out to the beach at Magens Bay. 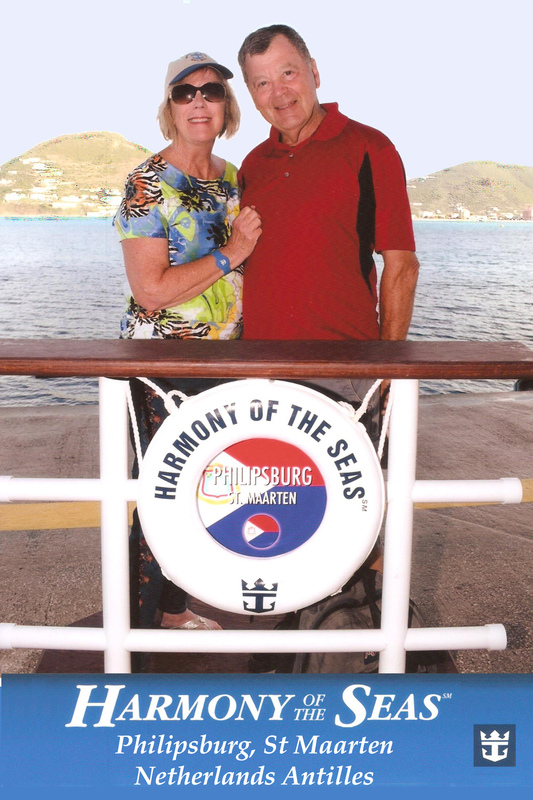 The scenery on the trip was really good with overlooks to the bay where cruise ships were docked. 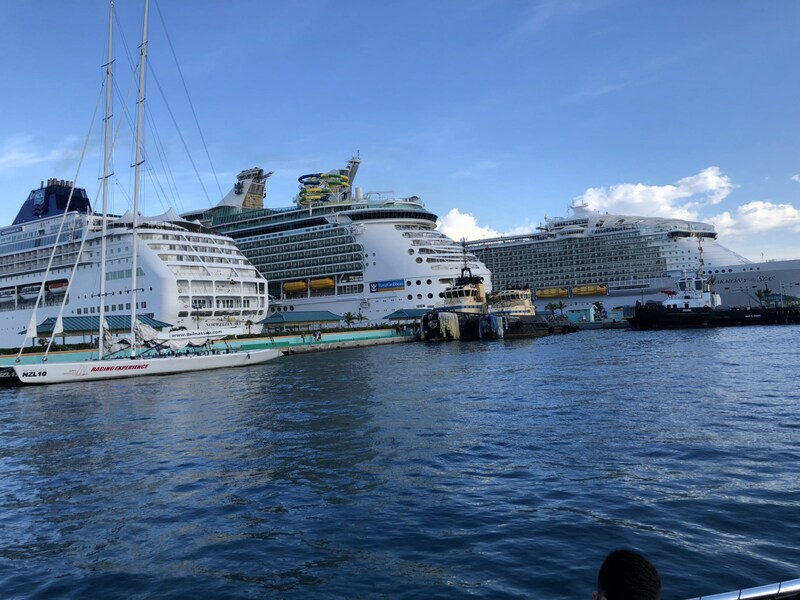 The beach is a popular stop on island tour itineraries and can get crowded on days when there are several cruise ships in port. 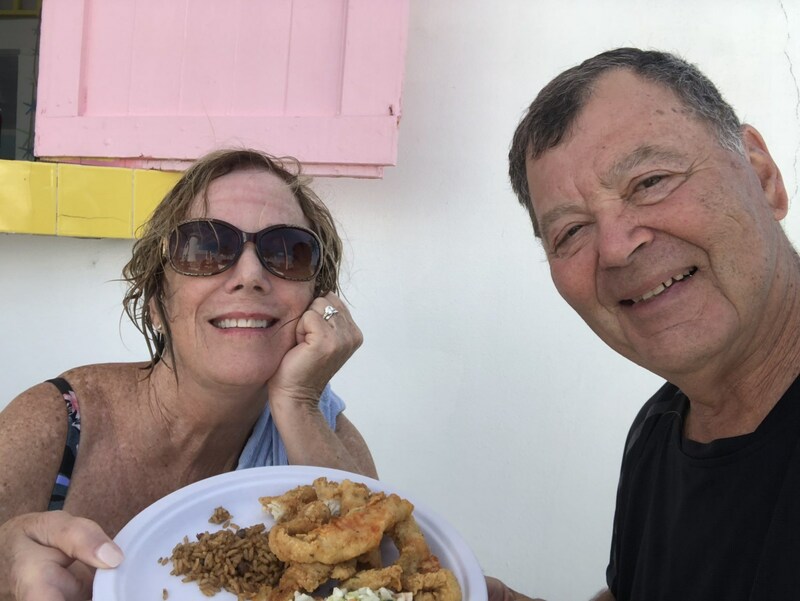 We picked a spot away from the restaurant area to get away from some of the crowd, but we did enjoy the restaurant’s local food and beverages and also did some more snorkeling. 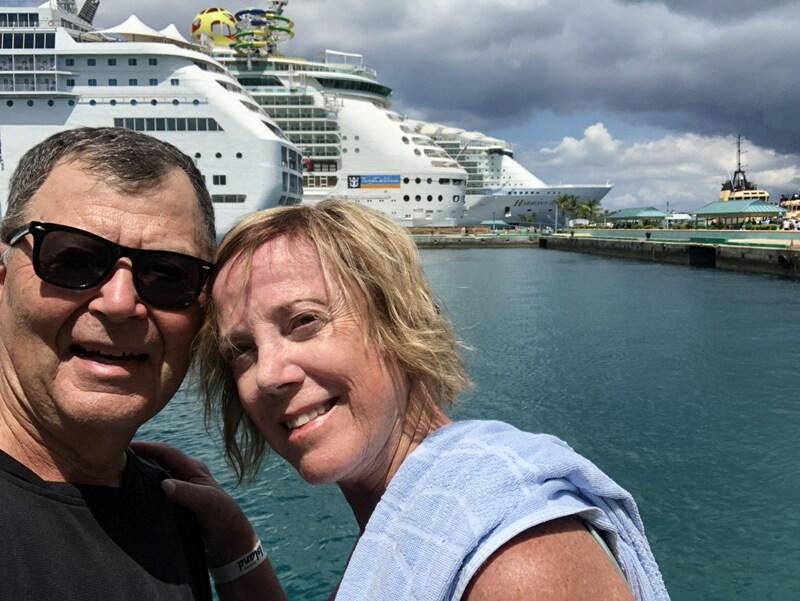 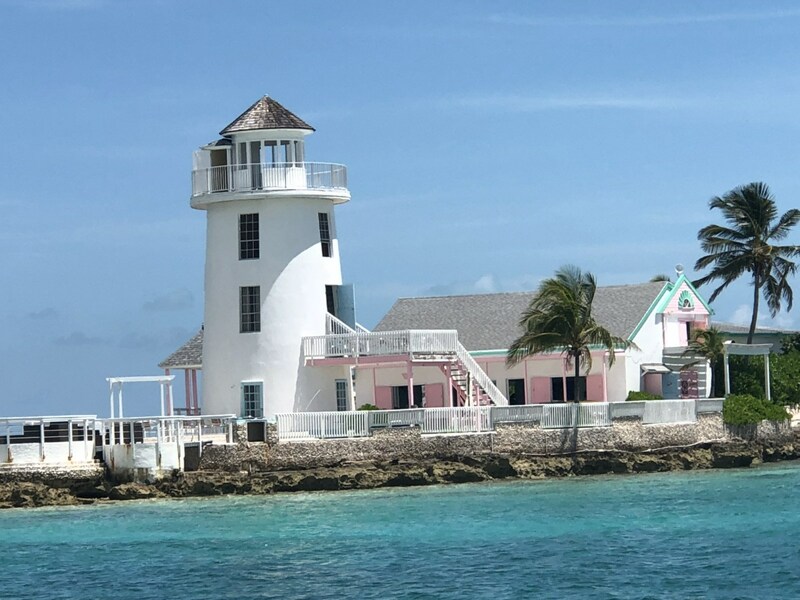 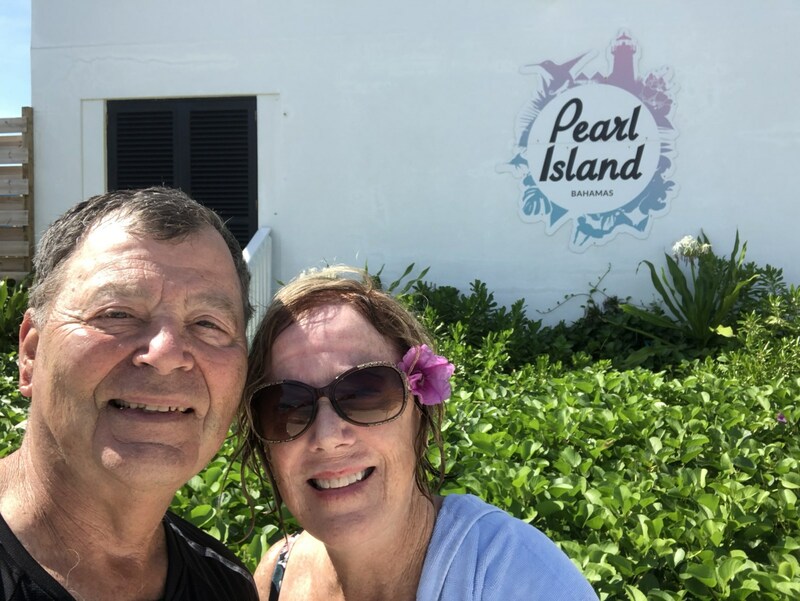 Our last stop was St Maarten where had an excursion booked with Captain Cass who boarded us on a powerboat for a trip around the island that included three snorkeling stops and being present at Maho Beach on the Dutch side of St Maarten. 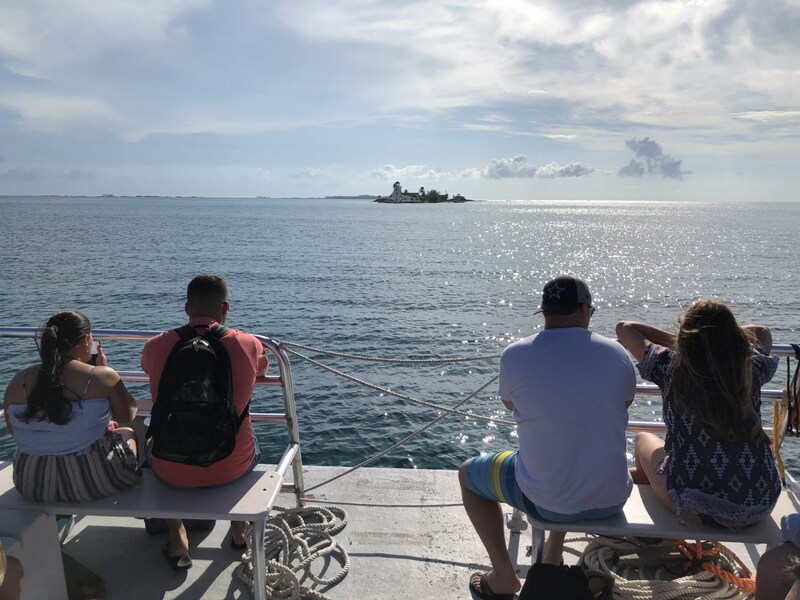 There we watched an incoming commercial airliner from France as it skimmed over the top of the beach to land at Princess Juliana International Airport. 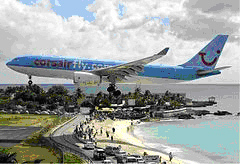 It is a popular site for tourists and planewatchers, who visit the beach to watch aircraft on final approach landing at the airport, passing only a short distance above their heads. 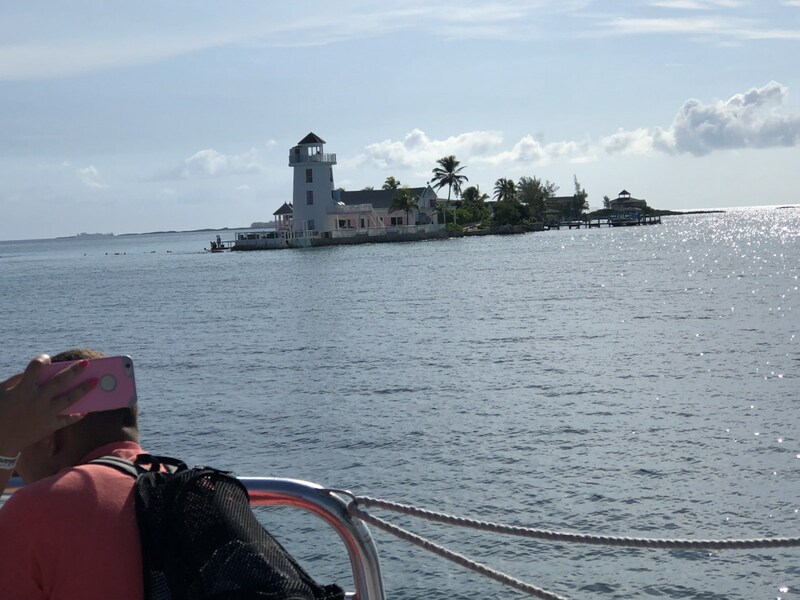 In addition to the September 10 day at Sea, there were second and third Days at Sea on the 13th and 14th. 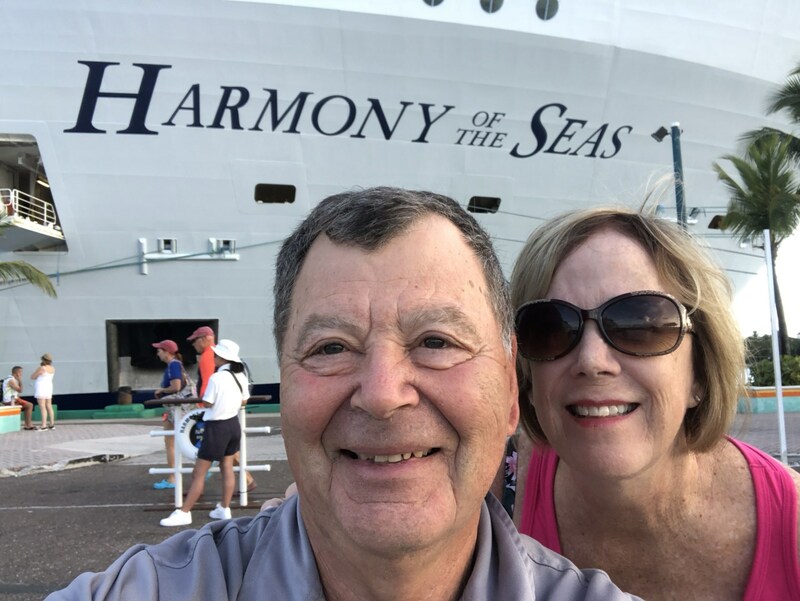 Of course days at sea on a ship like the Harmony are just like enjoying an 1100+ foot playground that includes restaurants, snack and beverage areas, pools, hot tubs, lounge areas, a miniature golf course, two FlowRiders®, an a Zip Line, an Ice Skating Rink, and a 42' Climbing Wall. 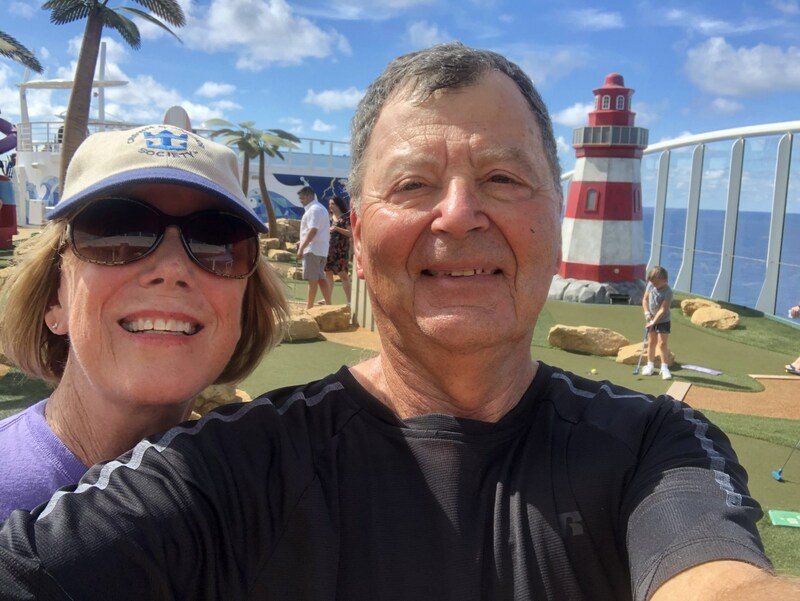 We must be getting slightly older, because – this trip – we took a pass on the ice skating and the climbing wall, but we did zip lining and jay tried Flow riding again, and both Jay and Joyce took the long slide from the very top deck clear down to the boardwalk area. 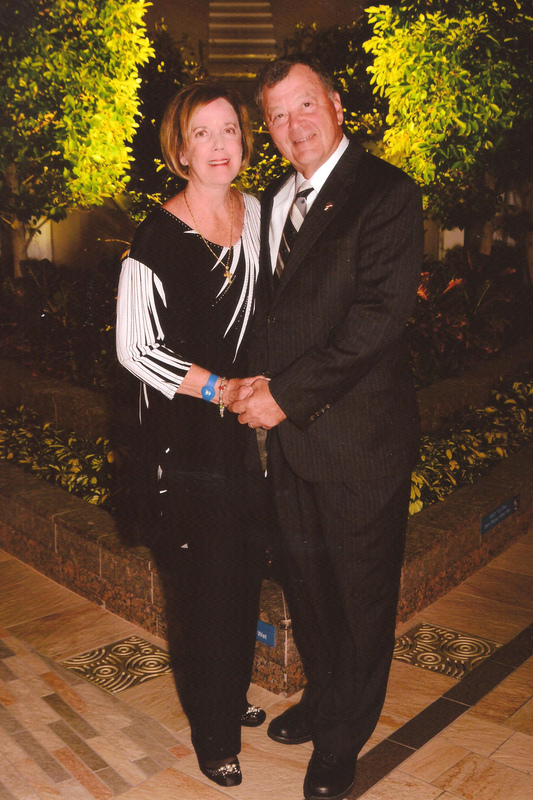 We also took in two specialty restaurants: Chops, and Izumi, just in case we weren’t getting enough to eat.